Atacamite is a green-colored halide mineral. It draws its name from the fact that it originates in the Atacama Desert in Chile. This mineral species was first discovered in 1801 at Atacama Region in Chile. This substance was added to the mineral species in the same year by D. de Gallizen. The composition of this mineral is Copper (II) Chloride Hydroxide. It is a polymorphic crystal form of Dicopper Chloride Trihydroxide and is polymorphous with botallackite and paratacamite. This mineral is rare and found as an ore of copper. 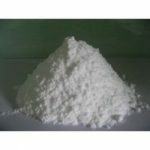 The CAS reference number for this substance is 1306-85-0. Atacamite crystals are formed in arid regions where the mineral deposits of copper go through oxidization. Actually, this is a secondary mineral that form due to the oxidization of other copper minerals. They are particularly formed in fumarolic deposits and under desert saline conditions. The crystals are regarded as weathering product of sulphides that are found in subsea black-smoker deposits. These are also viewed as alteration products of copper and bronze objects of antiquity. The chemical formula for this mineral is Cu2Cl(OH)3. The molecular weight for this mineral is 213.57 gm. The density of this mineral is 3.756 g/cm3. The color of Atacamite varies between bright green and dark green. Blackish-green and yellowish-green varieties of this mineral are also found. Streak of Atacamite is apple green or pale-green. In Mohs scale the hardness of the mineral ranges between 3 and 3.5. It is a brittle mineral. 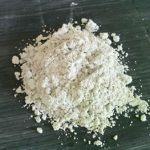 An assessment of the specific gravity of this mineral gives an approximate measure of 3.75g/cm³, which is found to be considerably above average value. This mineral has weak pleochroic properties. This mineral is not radioactive. It is non-fluorescent in nature. Here is information on the structural make-up of this mineral. The luster for this mineral is adamantine (a luster similar to that of diamonds) and vitreous (the luster which is commonly demonstrated by a broken glass). The transparency of Atacamite crystals vary between transparent and translucent. Crystals of this mineral are orthorhombic (2m/2m/2m). The slender, striated crystals of Atacamite can be columnar, fibrous to acicular and anhedral to subhedral. Atacamite stones have perfectly aligned cleavage in one direction. The Atacamite mineral is splintery and conchoidal. Electron Density or bulk density of Atacamite crystals is 3.61gm/cc. Atacamite crystals are formed in arid regions where the mineral deposits of copper go through oxidization. 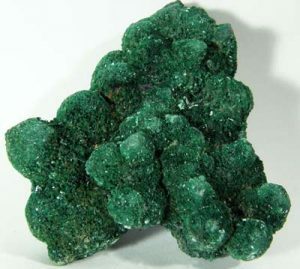 Atacamite is common in arid regions with oxidizable copper minerals. It is primarily found in Atacamite Desert in North Chile, which is one of the driest areas in the world. It is in dry regions that Copper is exposed to oxidation. It is believed that the Atacamite crystals have certain metaphysical properties and that it aids in healing. They help the thymus gland and build up a stronger immune system. Atacamite carries the heart chakra energy but it also has a beneficial influence on all the other chakras. These crystals also influence the throat chakra and help in self expression and communication, as well as build up confidence and increase self motivation. It also stimulates the thyroid gland and fills the body with energy and enthusiasm. The stone aids in developing independence. Atacamite crystals are often used for the purpose of meditation. They act as a stimulant for the pineal gland and open the third eye. This helps in the development of psychic visualization abilities as well as establishing efficient communication with the higher self. It helps in increasing the intensity of one’s clairaudient and clairvoyant abilities and acts as a protective stone from negative energies. The crystals of Atacamite stimulate the sacral chakra and helps the kidneys in elimination of fear based toxins. They also help in developing creativity as well as unconditional love and altruism. The healing properties of these crystals also stretch to the reproductive organs. It helps in elimination of health problems relating to this area. Atacamite is also used to make nice jewelry pieces. People wear them close to the body both for their aesthetic beauty as well as to avail their amazing healing properties. Small pieces of this stone are conveniently used to make beautifully designed necklaces and pendants. Atacamite is also commonly used as a mineral specimen and is regarded as minor ore of copper. Atacamite can be bought from shops selling various minerals and crystals. They are also available in various New Age shops. Alternatively, these crystals can also be bought from online shops. The price depends on the size and purity of the crystal. The rarity of the Atacamite crystal, combined with its amazing healing properties, has made it an indispensable item for collectors of crystals.